Remi Harris (lead/rhythm guitar); Mike Green (bass). This remarkable CD came with a free Yardbird Arts ball-pen - who says I can't be bought! I rarely print press releases in place of a personal review (with or without a free pen). Often the press releases end up as paper airplanes or are used for less, but often more fitting, salubrious purposes. However, on this occasion, the PR says it all and I can but rubber stamp it along with the approval accorded to this young man from that hotbed of jazz - Worcestershire - by John Etheridge, Martin Taylor, Jamie Cullum and Digby Fairweather. From the opening bars of Can't Buy Me Love, as Django may have played it, to the earthiness of Need Your Love so Bad I figured this was something special. Following a packed 2015 which saw his debut album placed in the "Official Jazz & Blues Albums Chart" top 30, numerous plays on BBC Radio 2 and BBC Radio 6 and accolades from Jamie Cullum & Cerys Matthews. He was awarded 2nd place in the Rising Star Category of the 2015 British Jazz Awards and named in The Culture Trip's "10 Young British Jazz Musicians You Should Know” and now Remi is back with a new release on the newly formed label 'Yardbird Arts'. Whilst he is best known for his playing within the gypsy swing and jazz genres, Remi draws influences from many other forms of music. Be it his roots as a rock and blues guitarist or his interest in hip-hop, electronic and world music, he is keen to allow all of his influences to shine through at every given opportunity. 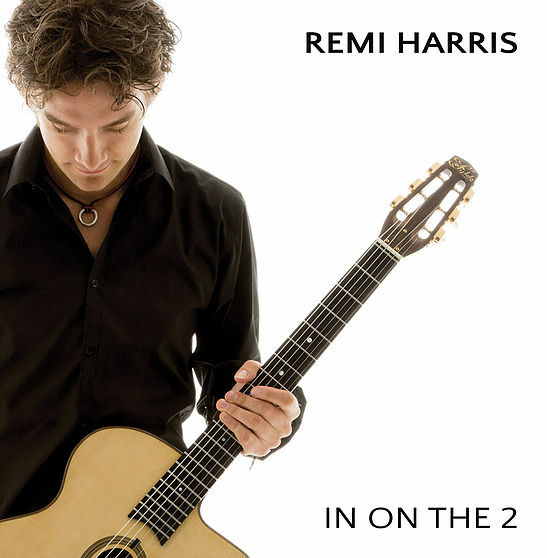 While his debut was very much a 'Gypsy Jazz' album this latest release, though clearly rooted in gypsy swing, features a more eclectic selection of tracks, each morphing into something unique under Remi’s hands. From the infectious Djangoesque rendition of The Beatles, “Can’t Buy Me Love”, to an intense and rampant arrangement of Ray Noble’s “Cherokee”. This leads to “Cissy Strut”, written by funk band The Meters and featuring Mike Green on the double bass. “Round Midnight” is a smoky jazz ballad, dreamy and soothing. Next up is a unique take on Dhafer Youssef's “Odd Elegy”, an interesting composition written in the time signature 39/16. “Have You Met Miss Jones” stands as a tribute to one of the jazz greats, Joe Pass, and with Buddy Montgomery’s “Bock to Bock”, Remi uses an archtop jazz guitar to channel the sensuous sounds of guitarist Wes Montgomery. Neil Young's Old man is played on a solid body electric guitar and sees Remi utilising a bottleneck slide, while Bill Evans' “Waltz for Debby” is a personal choice for Remi and is dedicated to his Grandad. This is followed by is a driving gypsy style version of “Puttin’ on the Ritz”. The final winding and delicate, bluesy number is “Need Your Love So Bad” which features Remi on his solid body electric guitar. All guitars on 'In On The 2' were played by Remi with the lead parts being recorded first to a guide track, and the rhythm parts played to the recorded lead parts. This was done to allow Remi to respond as a jazz rhythm section might to the lead playing to create a more live and improvised sound. Double bass was played by seasoned pro, Mike Green.